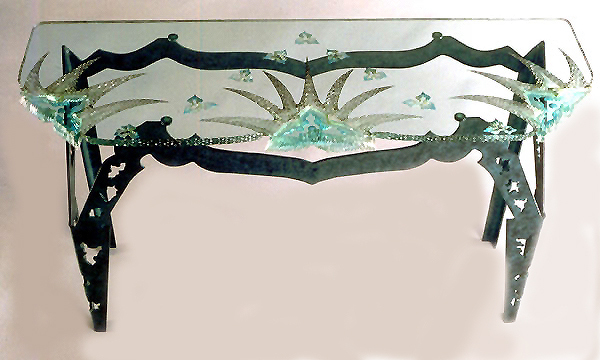 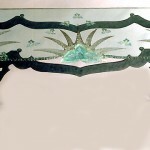 I am a glass artist that offers many types of glass furniture including custom carved glass countertops, six-foot tall stained glass or carved and painted screens, as well as glass fireplace screens. 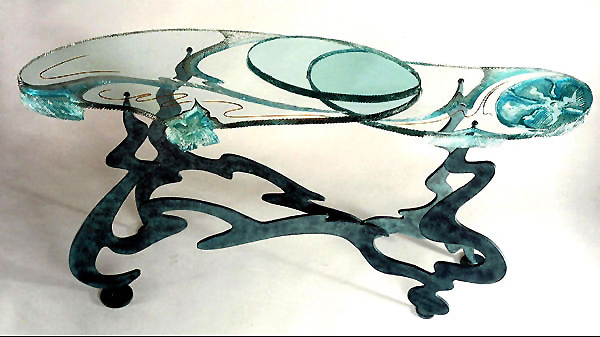 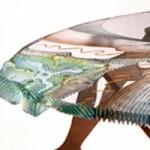 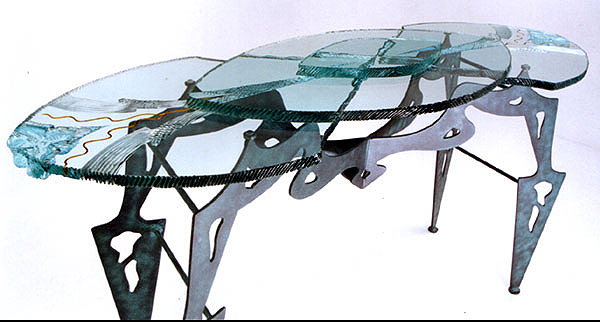 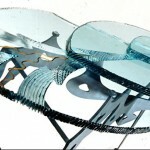 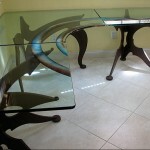 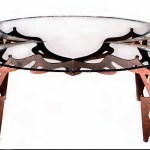 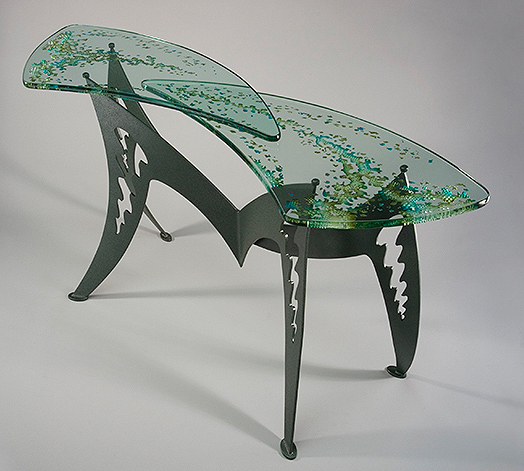 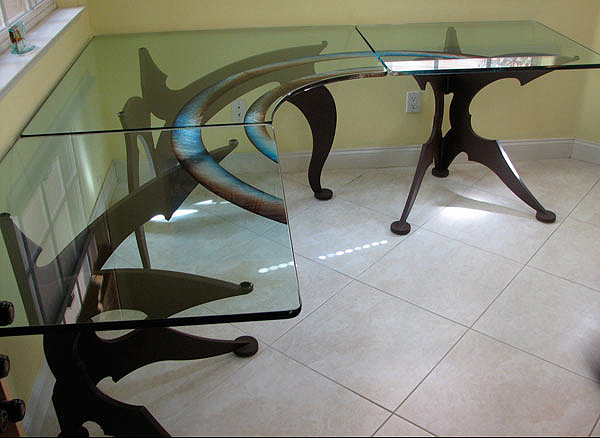 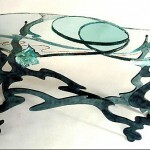 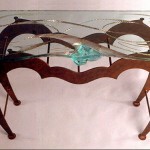 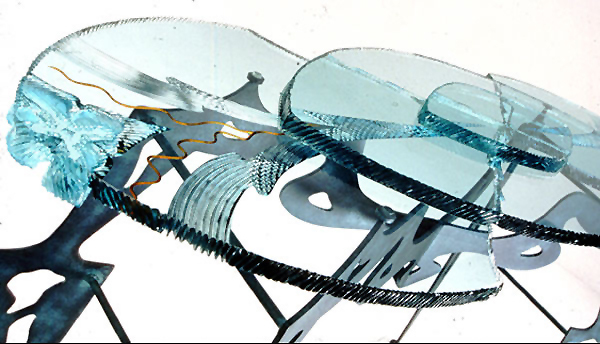 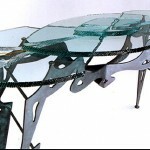 I make glass top coffee tables, desks, dining tables, end tables and console tables. 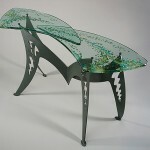 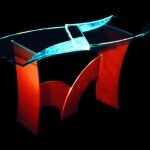 I also design and create the steel basses that go with each table, so they are designed as one unique artwork. 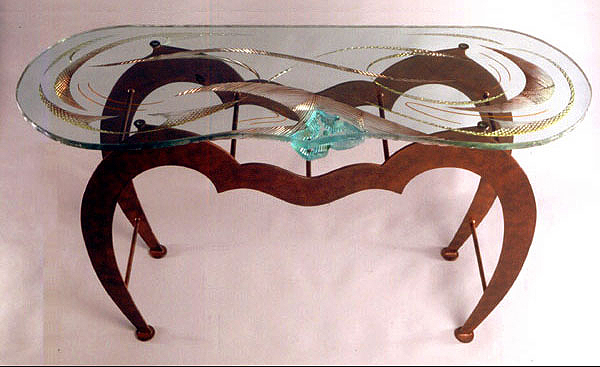 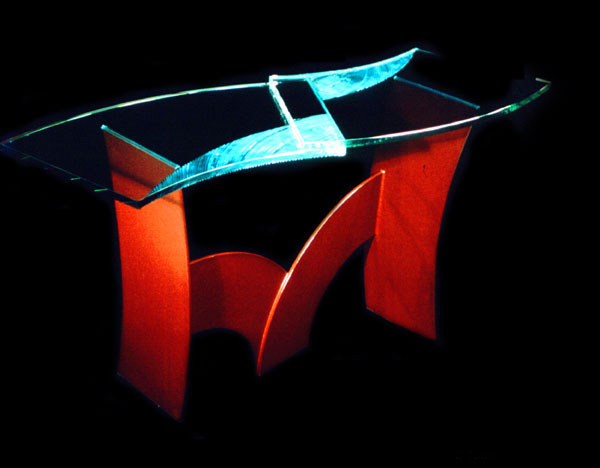 My tables have been published in books including Tables Studio Series, Lark Books, Sterling Publishing Co. Inc., New York, NY, 500 Tables, Lark Books, Sterling Publishing Co. Inc., New York, NY, and The Guild Sourcebook of Residential Art 5, Guild Sourcebooks, Madison, WI. 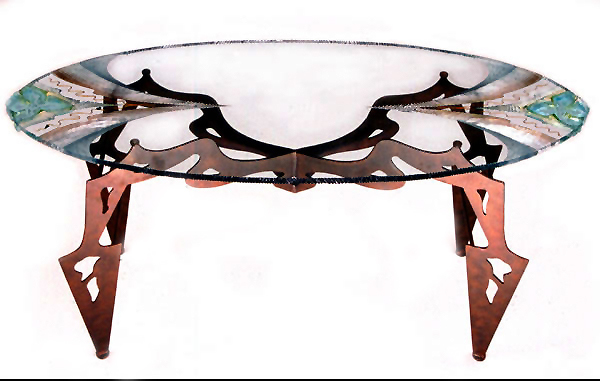 I have also been featured in magazines across the country including Malibu Times, The Washington Post, Greater Philadelphia House and Home, Los Angeles Daily News, and many more.